Il Melograno is a truly unique hotel set in Southern Italy. It has luxury contemporary facilities which effortlessly blend with the historic architecture of the building. Spend your days admiring the beautiful buildings and grounds of this former Masseria, a Puglian country estate, which is the first to be made into a luxury hotel. Couples will love exploring the whitewashed buildings and majestic olive groves which offer a truly authentic Italian experience. Spend your days relaxing on the private beach, which combines fragrant pine trees with turquoise Mediterranean waters. Visit the hotel’s spa for a range of treatments which will leave you feeling totally refreshed, or enjoy the natural surroundings of the outdoor swimming pool. When it comes to dining, make the most of the onsite restaurant which is set between olive groves and striking English grass. There are 40 rooms. Hotel child prices apply to ages 2–5 years. A grand dining experience offering a daily changing menu created using local organic produce. For beautiful views, book a table on the dining verandah, which sits next to the swimming pool. Tamerici Beach Club is a private stretch of sand which is easily reached by the hotel’s complimentary shuttle. Here you’ll find crystal clear waters, a luxury cocktail bar and gorgeous white dining terraces. There are two 20 metre swimming pools at the hotel. The outdoor pool is surrounded by olive groves and sits beside the restaurant. The indoor pool is the perfect place to relax before a spa treatment. 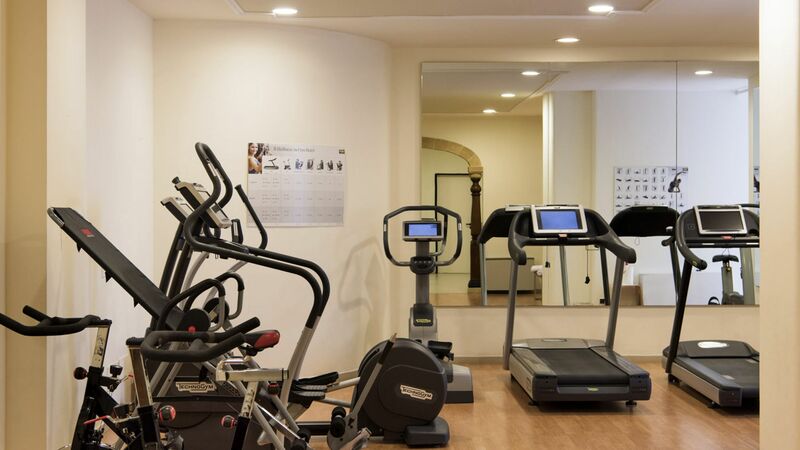 Work out in the air conditioned gym where you’ll find advanced equipment to help you keep fit. There is also a treadmill underneath an olive tree. A beautiful spa surrounded by the relaxing sounds of nature. Swim in the Roman ‘palaestra,’ before going on a therapeutic journey in the candlelit spa and steam room. 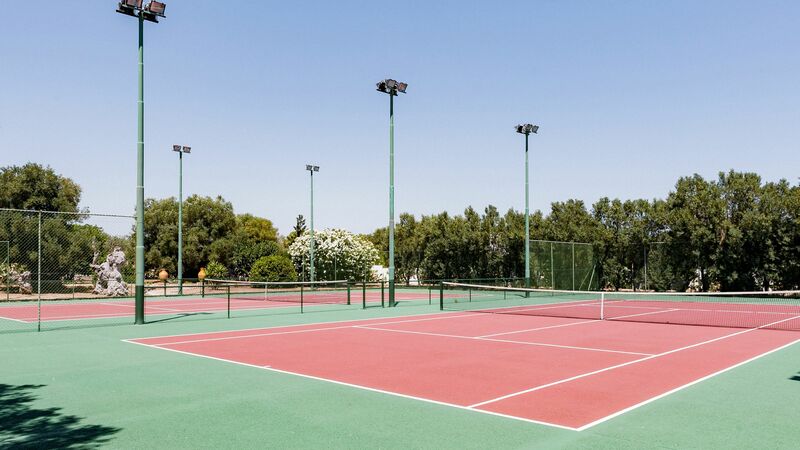 Enjoy a game on the padel tennis court, a hybrid between tennis and squash, and one of world’s fastest growing sports. As a former country estate, Il Melograno’s memorable gardens offer plenty to be explored, with over 5 acres on offer. Puglia is known to be home to some fantastic wines, and the Il Melograno estate is no different. Allow your sommelier to take you on a journey through some of the region’s best bottles. Bicycles can be booked directly from the hotel. You can take a tour of the picturesque country lanes surrounding Il Melograno. Monopoli is a beautiful fishing town on the Adriatic Coast of Italy. It has a lovely port with a series of little harbours where you can admire the colourful fishing boats and luxury yachts which dock alongside. Visit the old town for its ancient squares and whitewashed houses and explore the Baroque Monopoli Cathedral with its tall bell tower, crypt and archeological collection. The town offers a wonderful mixture of fortified walls and beautiful sandy beaches, perfect for history lovers and sun worshippers alike. To immerse yourself in the area’s culture, visit the impressive Charles V Castle, built in 1552, from where you can enjoy some incredible views. Il Melograno is 50 minutes from Bari Airport. Located in a quiet area among olive trees or in the citrus grove, the cozy Superior rooms are furnished in traditional style. 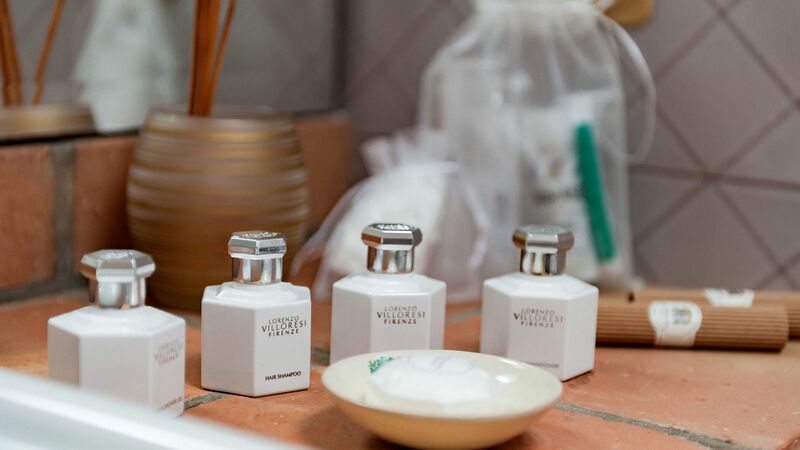 Deluxe rooms are located in a quiet area and are furnished in a style typical of traditional masseria. Junior Suites are located among olive trees or in the citrus grove and are furnished in traditional Apuglian style. Spacious Suites are located among olive trees or in the citrus grove and feature two bathrooms. “ Heaven in a hotel! The perfect stay: 400 year old farm, surrounded by olive groves, stunningly restored, beautifully furnished & decorated, with orange & lemon trees. The staff could not be more genuinely helpful, so friendly. 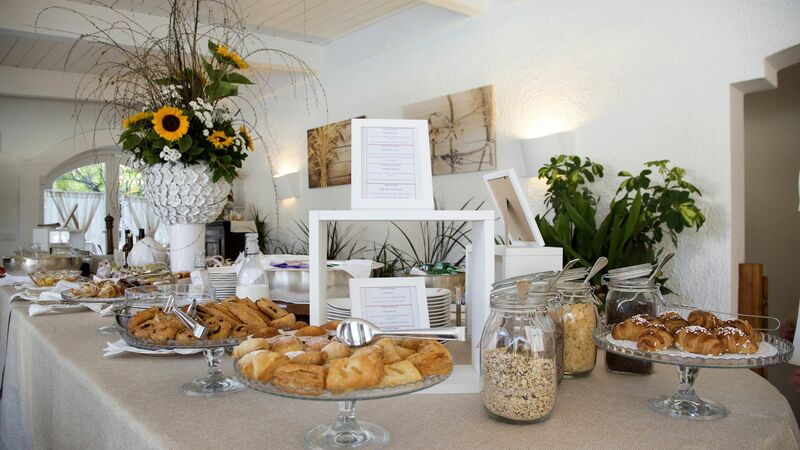 Breakfast was out of this world with huge choice of pastries, cold meats & cheese, fruit, fresh juice & cooked options. Lunch menu was also excellent. Lovely spa with pool as well as idyllic outside pool surrounded by orange trees. You do need a car: eye watering expensive taxi transfer from hotel otherwise. Stayed here in September after the summer crowds and could not have been more pleased. The hotel is gorgeous and laid out in a way where you never feel crowded or bothered by other guests. 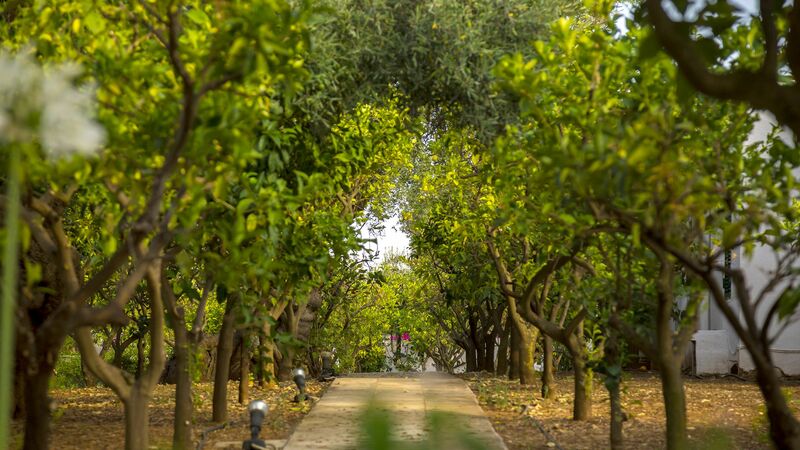 The hotel is beautifully landscaped, showcasing 1,000 year old olive trees around the property. The best part was the on-site restaurant. We had multiple meals there which were amazing. The local wines were also wonderful and reasonable. They have a sister hotel located at the beach, however it was never clear if we could have beach and pool access at that location. We did go to the sister hotel one day after being told we could use the beach and the pools only to be turned away from the pool area and then told we could (as an exception) use the beach. Kind of strange since we were not there during the high season, and a lot of confusion among the staff at each property. Despite the beach debacle, the hotel boasts a great location -- close to lots of interesting small towns in Puglia, and an amazing staff and facilities. I would recommend for anyone visiting the region. My wife and I thoroughly enjoyed our four night stay at Il Melograma and especially loved its convenient location to the area?? ?s sights not least being only a few minutes from the wonders of Monopoli. Our junior suite was very generous in size, had a sun baked terrace, well furnished including with two bathrooms and probably the best showers of our near one month in the region. The room was also equipped with a fabulous coffee machine and missed nothing apart from an iron! Service was generally excellent from reception?? ?s Ilenia to the pool guard and housekeeping really outstanding including a comprehensive turn down service. Breakfast was included in our stay and was again fabulous. In addition to a generous buffet, fresh juices, machine coffee and eggs/bacon were available to order at no further costs. Iliaria at the breakfast service was incredibly charming and obliging. Unfortunately the male servers at breakfast were too often arrogantly unhelpful and should take a leaf out of their female colleagues. 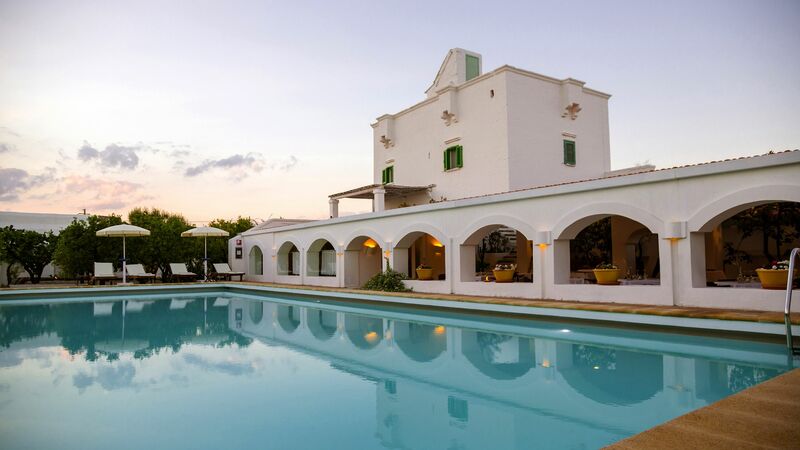 In my view the masseria offers great value and we would unhesitatingly return and recommend. Il Melograno is in a lovely country spot a few miles from Monopoli. The property is quite spread out but easy enough to find your way around once you learn the layout. We were upgraded to a suite which was a plus. A beautiful room with two bathrooms and excellent lighting. The negatives revolve around the service in the restaurant and bar. We ate in on our first of four nights. The food was disappointing and the service not over attentive. We found the breakfast choice was good but some of the waiting staff were grumpy and did not smile. At the bar we always had to go and find someone as no one was ever present at the bar. Not clever for a five star rated hotel. We did enjoy our stay but had to drive into Monopoli every evening as the food was not good enough at the hotel. Lovely quiet hotel set just outside Monopoli. The rooms are decorated in a 'classic' non modern way but are still nice and typical of the location. The breakfast and general food was outstanding. The pool area is nice and quiet although the pool was not heated and there were quite a few wasps buzzing around annoying people. All the staff were friendly and attentive and we enjoyed the Tamirici beach club as well.